Despite its fascinating contents, the State Art Collection of Serbia was never fully researched or catalogued until 2006. In that year, a project to research the collection was initiated and funded by the Ministry of Culture of Serbia. Led by Professor Jelena Todorovic with Biljana Crvenkovic, the project was carried out under the supervision of the National Museum in Belgrade. The State Art Collection has a rich and curious history. 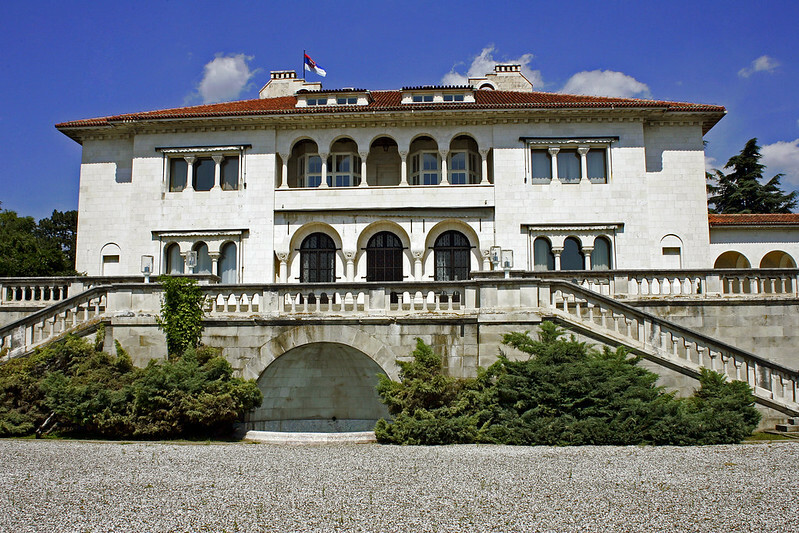 It was symbolically founded in 1929 with the proclamation of the Kingdom of Yugoslavia. The last additions were made in the late 1970s. The collection was intended to reflect Yugoslav and European ideals with some of Europe’s and Yugoslavia’s most notable artists featuring prominently, such as Nicolas Poussin, Gaspard Dughet, Palma il Vecchio, Ivan Mestrovic and Vlaho Bukovac and reflects the desire to merge local and European cultural values with the new national identity of Yugoslavia. The research team had to begin with very basic tasks. The collection was first correctly inventoried, full archival research undertaken on all of the present works and, finally, a proper database made (both digital and analogue) with a separate dossier for each work of art completed. The Jury commended what it deemed “the excellent quality of research on a remarkable collection of art”. After this long and laborious task the fine arts catalogue was produced. Contributions to the artwork and provenance research were also made from a number of European museums, among which were the Louvre (France), the Kunsthistorisches Museum (Austria), the Dubrovnik Museums and the Modern Gallery (Croatia), the Bergamo Museum and the Trieste Museums (Italy), the RKD Institute (The Netherlands), and the Museum of Modern Art (Slovenia). The Jury much appreciated the printed catalogue, stating that “the bilingual publication is of high quality and makes a significant contribution to the history of art and the history of art collecting”. The appreciation of this forgotten, invisible part of European heritage has finally made these works available for the wider public to enjoy, most notably with the number of loans having been requested since its publication from other European museums. The Jury praised this aspect of the project, stating that “the original intention of this collection was to embody the European spirit. This research study is an important rediscovery and reinstatement of this intention to be part of the wider dimension of European culture and art, bringing it to the attention of the wider public”. In addition, “the collaboration with European partners has widened the researchers’ and museum’s network and created new opportunities for dialogue. The state-owned collection, previously accessible only to state officials and visiting dignitaries, has been made better known to a European public with some parts of the collection being publicly exhibited for the first time ever”.